As we have seen in recent weeks and days – we’re looking at you Sony – online information is as vulnerable as ever. It seems like every week there is another leak or hack of some sort. As hackers and identity thieves are using more sophisticated tools to go after our data, security software is having a hard time keeping up. But you need not fear, we may have just found a solution: Webcloak. 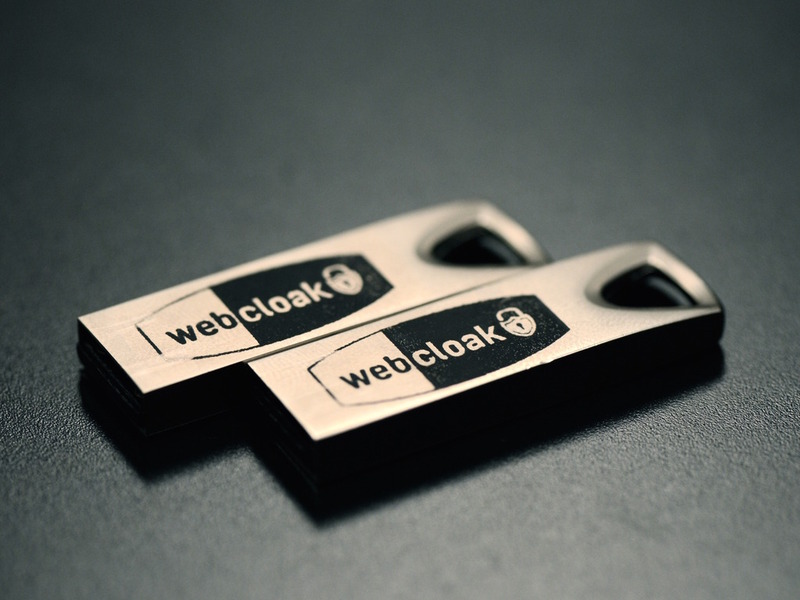 Webcloak is an advanced USB stick that allows you to anonymously browse the web with no risk of viruses, data theft, or identity theft. We had a chance to ask the Webcloak team a few questions about their new hardware – which is available for pre-order on Kickstarter. Why did you build Webcloak? I have been developing Internet technology for over 20 years and from time to time I would get a virus or be hacked. My friends and family being hacked all of the time. There’s one thing that all internet users have in common regardless of who they are and where they come from… no one wants to be hacked or spied on! That’s why I developed Webcloak. After years of development we have succeeded in creating a safe and anonymous web experience, coupled with additional tools to keep your most important passwords, account numbers and files secure. I’m proud to say – Webcloak provides online safety and anonymity. Webcloak is an Internet end-point security (USB) device that is aimed at the consumer and corporate market. Our primary target is the consumer user who has not been afforded the same protection that the government and corporate market has. How is Webcloak different from what is currently available? We set out to create a completely safe internet working environment. We started with the current state-of-the-art in internet security, what are people doing, what works… what doesn’t work… what’s missing? Where are the holes? Where are the vulnerabilities? Most solutions focus on monitoring, detection and mitigation… meaning, you’ve already been compromised, how can you minimize the damage? You have the wound, how can you stop the bleeding! That wasn’t good enough for us. We designed a system from the ground up drawing on the best ideas out in the market today combined with our unique technology. WebCloak uses a proprietary combination of hardware, encrypted hardware virtualization, coupled with an encrypted communications system and a custom cloud enabled “internet desktop” operating system. WebCloak creates the most impenetrable barrier between you and the web. It also includes an integrated encrypted password keeper and drag and drop file storage. It took a long time to bring the right people and technology together to develop Webcloak. If there was an “Ah Ha” moment it was when you realize that the solutions and innovations are born from a community of people working together and not from an algorithm or computer code. I have been developing commercial software for over 30 years and Internet software for over 20 years. My internet streaming technologies have been installed on millions of computers world-wide. It came pre-installed on Dell, Micron and Gateway computers. I have done work for Microsoft, Intel and the U.S. government to name a few. My business partner is an entrepreneur who has a history building, motivating and managing teams and developing organizational systems. We have a small team of developers that along with myself have around 100 years of software and systems development experience. Our primary focus is on a successful Kickstarter campaign. After that, we will focus on going from prototype to production. Our initial product addresses end-point security but we already have our eyes on the next steps in securing the entire Internet from end to end. Safe and anonymous end-points, safe and encrypted communications and safe servers. Lets get this going…. We all need this to keep our sanity regarding …hackers, identity thief… We need this on the market….